50 Years of Film and Fashion - Travilla Style: I'm Back......with Presents!!!!! 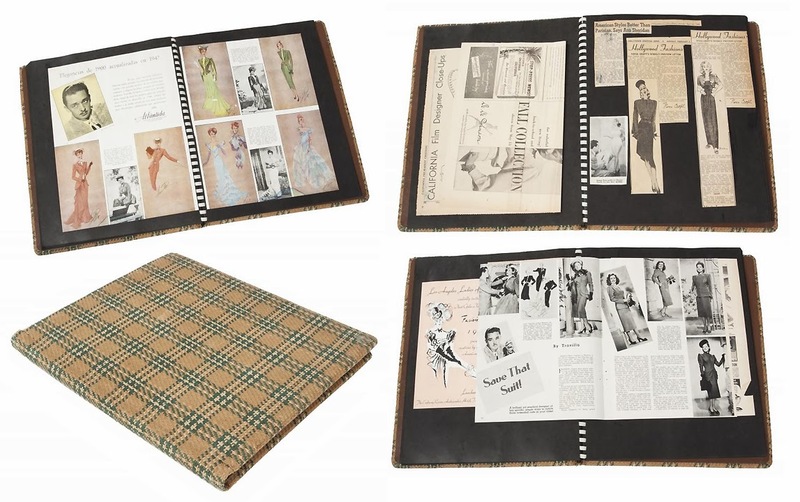 Last month on November 8, contents from the Travilla Estate went up for auction, with another group of items sold in an on-line only sale the following Monday. While I wish I could have bought everything, I managed to snag a few items that I'm very pleased to add to my collection, hopefully to be displayed at some point for the public to enjoy. Currently they are still in California, awaiting my arrival to retrieve them. Travilla's personal scrapbook from the 1940. I had no idea this existed in the Estate's archives. Pages upon pages of articles and images of his earlier work that he felt was important. This will go quite far in filling in the gaps of my research. I'm especially excited about the color versions of the sketches - hopefully there are more than just those pictured. Sketch photo - Julien's, others - My archive. It seems a large group of sketches were discovered since I photographed a visual inventory which was frustrating as there were some stunning ones I'd never seen before. Out of grouping of ten, I found one that goes to a dress in my collection. 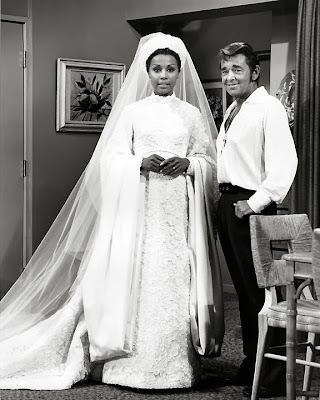 That particular dress is the retail version of one Travilla created for Diahann Carroll, worn when she appeared with Frank Sinatra on television. That sketch is top row, second from left in the group of Carroll sketches now owned. 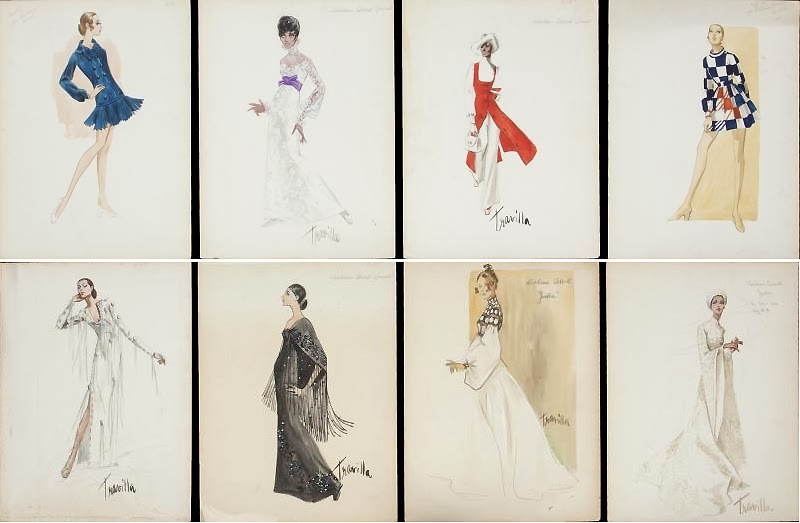 The sketch bottom row far right is for the dress worn in the photo below from my archives. Such an intricate garment created for literally 3-4 minutes of screen time. 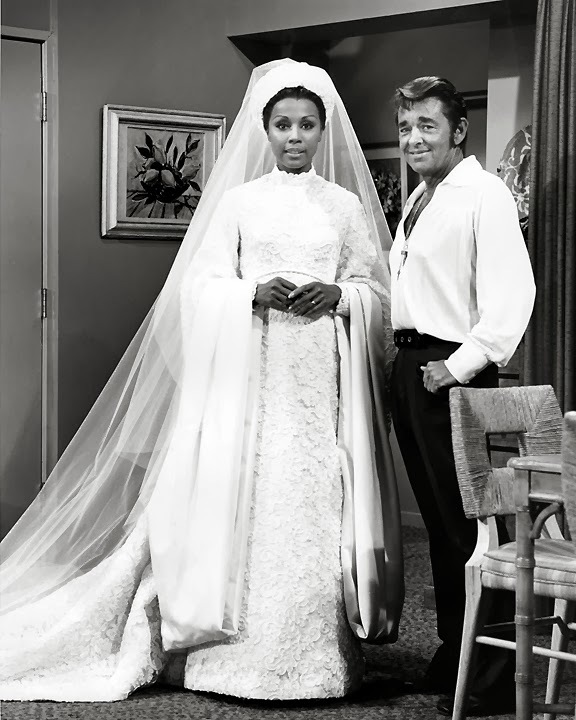 Next to that sketch is what became known as the "Julia dress." Travilla designed an exact duplicate for his daughter Nia to wear to her high school graduation, as well as for retail. The sketch bottom row far left was for an outfit for another television appearance and the garment was for sale, but I reluctantly let it go to another buyer. I had my eye on another piece, one I have a bizarre and strange connection with. Robe - Julien's, others - My archive. The Julia robe. Having "discovered" it's provenance, I've always held this piece pretty much above all the others in the collection. 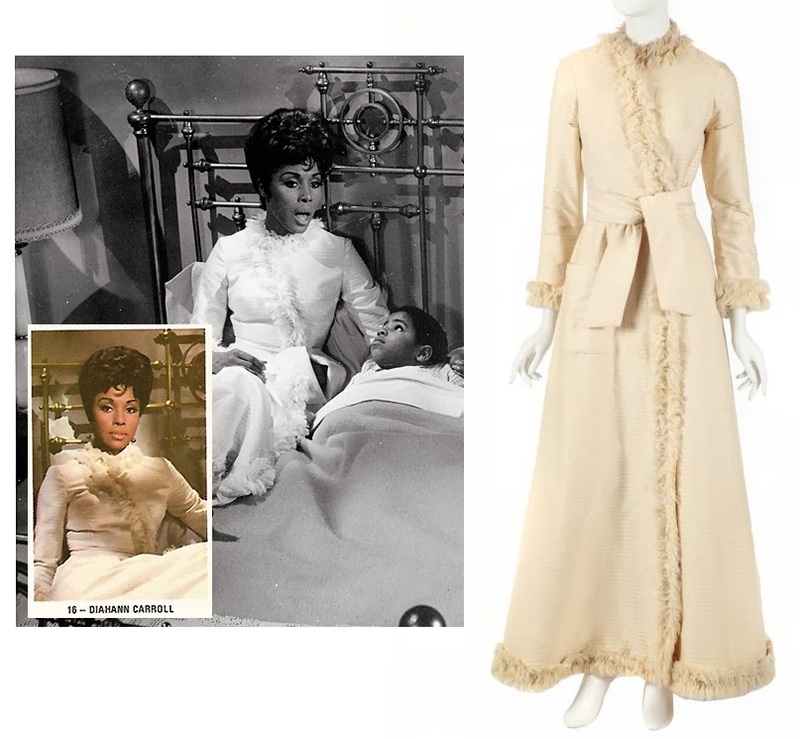 In a previous thread, Travilla specifically mentions creating this robe, based upon a design for one from Valley of the Dolls. As was this near copy of the dress worn by Barbara Parkins in VOD as the "Gillian Girl." The beading is so heavy, the top of the dress is shredded and can only be displayed laying down. but just look at that detail. 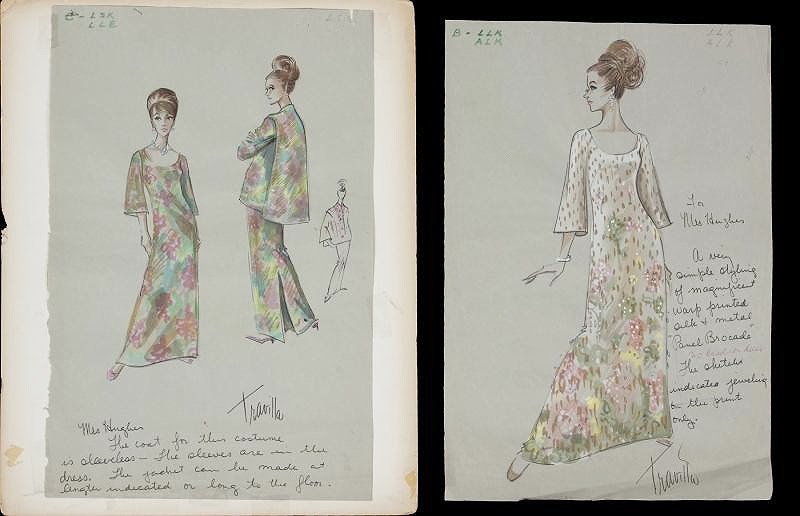 The "Mrs. Hughes" referred to in this sketches is actress Jean Peters who Travilla designed for both in film and personal life. Mr. Hughes' first name was Howard. Knowing how much Travilla loved Africa, and having admired his talents as an artist, I now have two pieces of his personal work and one of the photographs from which he drew his inspiration. I'm hoping to locate and add the other to complete the "set." 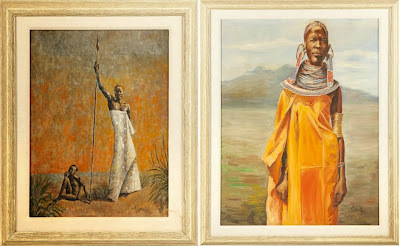 The painting on the right is over 4 by 3 feet in size. After finishing the Jeanne Eagels project, I plan on starting one on Travilla's wife of over forty years, starlet Dona Drake. 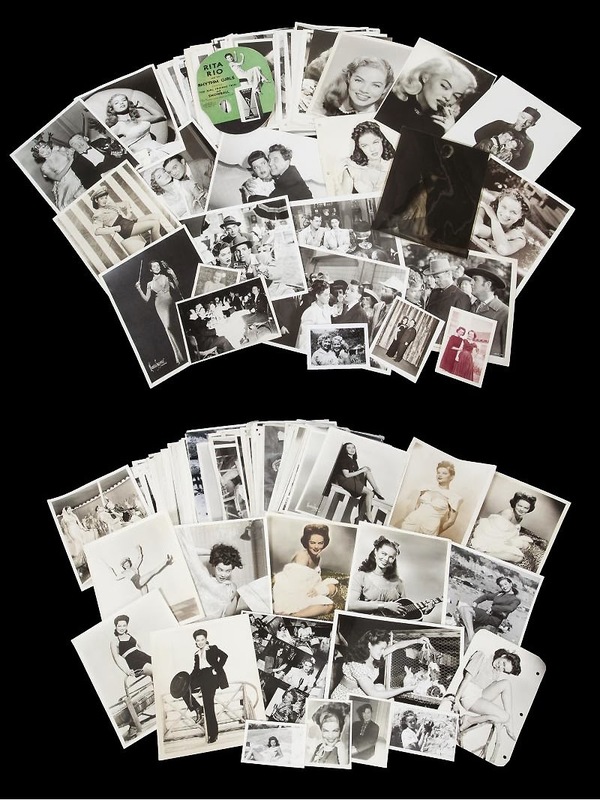 With over 350 photographs (just a partial selection shown above) from her personal archives and her rather interesting life, should be a good read. 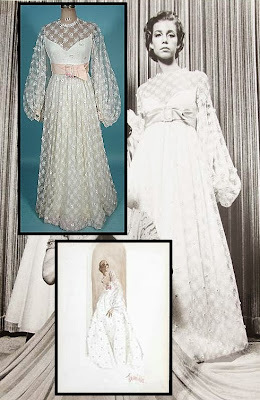 Also aquired several dresses circa 1960 which compliment the others I have from my favorite era of his. Those photos to come later.